If you’re looking for an easy way to stream video to your TV from a phone, a Roku should be at the top of your list. Both the Streaming Stick and Roku 4 are among the best available streaming devices, and they’re super easy to use. Here are a bunch of hidden tricks you can do with a Roku to make binge-watching shows like Stranger Things even easier. You don’t have to settle for the grid layout your Roku gives you by default. Getting the channels you use most often to the top of the pile is simple. Highlight the channel to move, tap the star (*) button, then choose Move channel from the menu that appears. You can delete channels you don’t need from the home screen list through the same menu. Rearranging channels on the home page isn’t the only way to customize the look of your Roku device. rom the front page menu choose Settings then Themes and you can pick a completely different look for the interface. Selecting Get more themes takes you to the Roku theme store, where you can pick up several more themes in return for a few pennies. Get a hold of the Roku app for Android or iOS and your smartphone can double up as a remote control. The app also lets you search for channels, movies, and more using your voice, and set up is pretty painless. Oh, and entering text strings and passwords on menus suddenly becomes a lot easier, too. Those of you running Windows 8, Windows 10 or Android can use a Roku to mirror your computer or phone’s screen on your television. From the home screen, go to Settings then System and tick Enable screen mirroring. Then use the official Roku apps to beam anything—photos, presentations and so on—from one device to the TV. With so much content available over so many channels, it’s not always easy to keep tabs on the shows you like, which is where the My Feeds section of the front page comes in. Set up alerts for the films and shows you’re most interested in, and you can quickly tap through the menus to see which Roku channels are currently showing your favorites. One of the reasons Rokus are so popular is they’re so simple to install and use, but accepting the default settings when you first set up your device might mean you’re not getting the best picture and sound. To fix that, head to Settings from the main menu and choose Display type to pick 720p or 1080p or Audio to cycle through the available audio options. Purchasing content through a Roku is a pretty seamless experience, maybe even too seamless if you’ve got kids or roommates with access to your TV. To avoid any unwanted charges, go to your Roku account page on the web, click on Update under PIN preference, and you can insist that a PIN code is required to buy anything on your device. Missed something that was said in a movie or show on your Roku? Tap the instant replay button on the remote (a circular arrow icon) and the content currently playing jumps back several seconds. Many Roku apps also automatically switch on text subtitles at the same time, as long as the option is enabled in Captions mode under Captions in Settings. 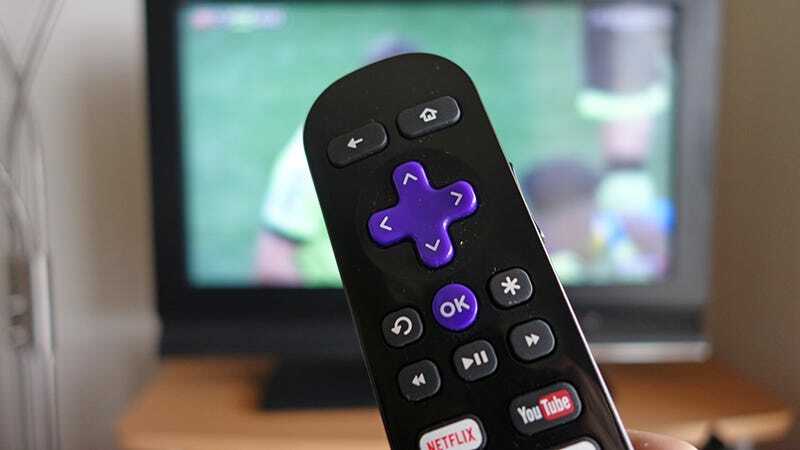 Depending on the Roku model you have, you may also find a headphone jack on your remote that you can plug some headphones into if you don’t want to wake up a housemate or a sleeping spouse. Alternatively, if you’ve got the latest 2016 streaming stick from Roku, you can use the mobile apps to listen through headphones on your phone. There are a couple of ways to play local files on a Roku. The first is to have them available on a networked computer and use an app such as Plex so serve them up and stream them to your Roku. The second (if you have a box rather than a stick) is to copy all of your media files to a USB stick, plug it into the back of your Roku, then fire up the Roku Media Player channel.